Bethesda Metro Area Village is not only hosting social and shared-interest activities for BMAV full and social members, we now have a cadre of trained, vetted BMAV member-volunteers ready to provide services to full members. Those services include driving a member to a medical appointment, visiting a member who may be feeling isolated and want some company and performing handyman tasks, such as changing a lightbulb, oiling a hinge, fixing a stuck door or changing a smoke alarm battery. BMAV full members, we’re here for you. Call or email us if we can help. bmavillage@gmail.com or 240- 630-2628. Want to help build a Village resource? Have you thought about how you can “pay forward” a good deed or kindness that someone did for you in the past? Do you want to help our village build a resource that someday you may benefit from as well? Become a BMAV volunteer! Volunteers are the heart of our village; we can’t do it without them. The best volunteers are those who enjoy sharing their knowledge, skills and abilities with others. Volunteering can be an enriching, rewarding and fun experience for you. We need service volunteers. These volunteers drive full BMAV members to doctors’ appointments or the grocery store, change light bulbs and batteries in ceiling smoke detectors or check on neighbors who live alone. Service volunteers undergo a background check and an orientation session. So far we have held three orientation sessions, with another planned for the second half of January. We are proud to say we now have 16 vetted, trained volunteers ready and waiting to help their BMAV full-member neighbors. Please join our great team of volunteers – call the village at 240-630-2628 and leave your name and number. Your call will be returned promptly. Do you want to be more involved in shaping our village? • Serve on a board committee. Several committees, such as development, could use your assistance. Raising money for an organization can be daunting, but lots of hands make light work. • Host an event. If you have a grand home suitable for a party, a cozy home for an afternoon tea or a comfortable family home for a garden party, consider hosting an event. We have volunteers available to help with set-up, clean-up and more. • Does your section of BMAV need a strong voice? Consider being a neighborhood captain. 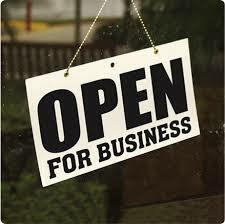 • Help us identify local businesses that might support BMAV. If you know of a local business that might support BMAV financially or otherwise to help make our village stronger, please let us know who they are. • Are you a photo bug? We'd like to have a couple of good photographers available to document our fun events that we can post on the BMAV website and include in the newsletter. • Do you like to bake? Every event is enhanced with an assortment of sweet treats. Would you be willing to join our baking corps occasionally? • Do you have a hobby you'd like to share with others? Consider starting an interest group. Knitting and bridge groups are already underway. 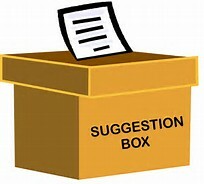 What would you like to see next? Get in touch with us if you’d be willing to do any of these things to help make BMAV successful. Village Knitwits. If you have stashes of yarn, an abandoned knitting project or just want to take up knitting again, join the Village Knitwits. The first drop-in session is on January 18th, 2-4 pm, at a member’s home. The address will be provided after you RSVP to hcaraher@verizon.net. Bridge. We plan to start a group or groups in late January. If you’ve always wanted to learn to play bridge or are looking for others to play with, send an email or call us. Genealogy. Are you interested in learning more about your family origins or whereabouts of long-lost cousins but aren’t sure how to go about it? Would you like to be part of a genealogy group? Do you have genealogy experience and be willing to help guide interested BMAV-ers? If any of this applies to you, send an email or call us. Drawing or painting. Do you enjoy drawing or painting and would like to do it with others? If you’re interested, send an email or call us. If there’s another kind of activity you’re interested in and think other BMAV members might be, too, (e.g., chess, book club, dining out), send an email or call us. 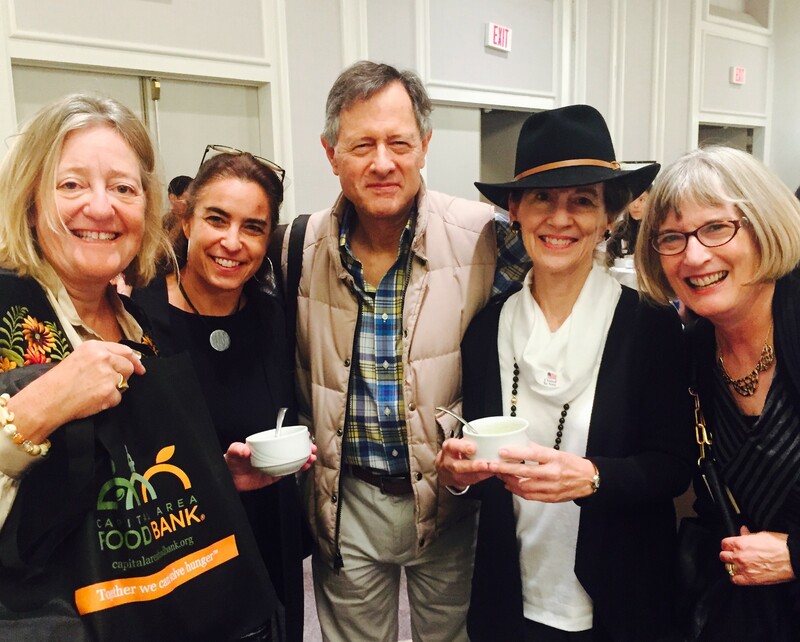 Empty Bowls fundraiser to support the Capital Food Bank, October 31, at the Bethesda Hyatt. Several BMAV members participated by making donations to the food bank as a way to give back to the community. In exchange, each donor chose a bowl made by a local potter (many of them local high school students) and then enjoyed free soup, bread and dessert provided by local restaurants. Pre-holiday season happy hour, November 18. BMAV social and full members relaxed before the rush of the holidays at the home of a member. We raised our glasses to the fact that the village now offers services to full members who request them. 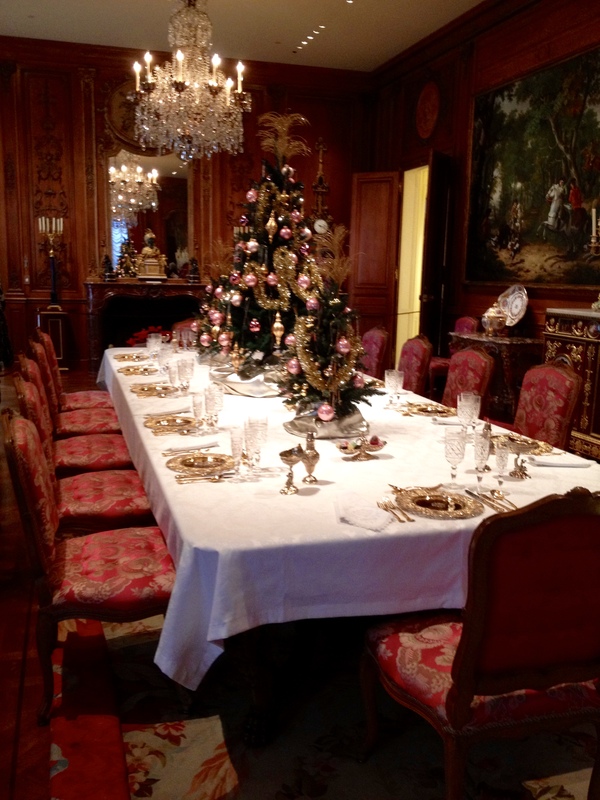 Hillwood Estate visit, December 16. This was a docent-led, private tour of the estate for BMAV members. As you can see in the photos below, the house and gardens were decorated for the holidays. “Break-your-resolution” dinner on Sunday, January 15, 6-8 pm. This will be an informal, fun gathering at the home of a BMAV member. Pizza will be provided; attendees are asked to bring a salad, wine/beer or a dessert. Let us know what you’re bringing when you RSVP (BMAVillage@gmail.com or 240-630-2628); you’ll be given the address then. Street parking is available, but let us know if you need a ride. Discussion with Ken Feinberg, Sunday January 29, 2-4 pm, at the Edgemoor Club. Edgemoor neighbor Ken Feinberg is one of the nation’s leading experts in mediation and alternative dispute resolution. He’ll talk about his experience in designing and administering special compensation programs after national tragedies. Examples include the September 11th Victims Compensation Fund, for which he served as special master, and the BP Deepwater Horizon Disaster Victim Compensation Fund, for which he was the government-appointed administrator. Please note: For this event, each BMAV member may bring one non-BMAV member, such as someone who might be interested in learning more about our village and its programs and meeting other members and neighbors. This will be a very popular event, so RSVP no later than January 25. Send an email to bmavillage@gmail.com or call 240-630-2628. Sing-along with "Dolly & Friends,” Wednesday, February 15, 3-5 pm (location to be announced). Learn about Jerome Kern, one of America’s greatest composers, and sing along with selections from “Showboat” and other classics. Song sheets will be provided, as will light refreshments. Check the BMAV calendar often for other interesting events coming up. Friends of Edgemoor has been a supporter of BMAV from BMAV’s early days and served as our fiscal sponsor. 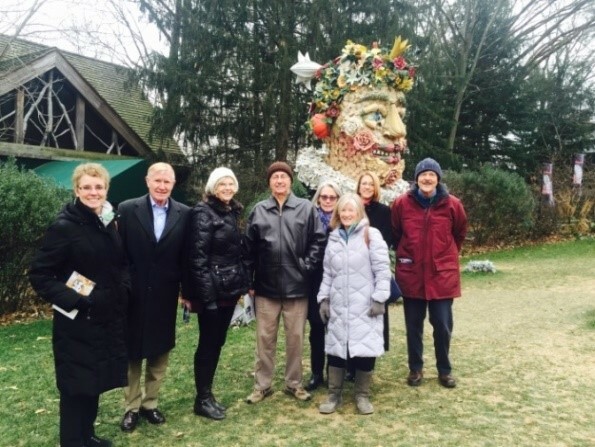 It is a 501(c)3 nonprofit organization that raises funds for community beautification by holding this tour every other year. The county has a new, one-stop winter weather-related website. On this site, you can check snow-removal status in your neighborhood or on your street; submit a service request for plowing if you think the county has missed your street; and determine whether the county or the state is responsible for plowing a particular street. The site also has information on the latest delays, closures, cancellations and updates via links to the following: schools; Ride On; Metrobus; traffic conditions; traffic cameras with real-time information; community activities and meetings; county recreation facilities; Montgomery Parks; trash and recycling collection schedules; library branches; and county council meetings and hearings. If you change your email address, street address or telephone number, let us know so that you’ll continue to receive the newsletter and other BMAV mailings. Here’s how to contact us: by email (bmavillage@gmail.com); regular mail (Bethesda Metro Area, Village, PO Box 30525, Bethesda, MD, 20824); or phone (240-630-2628). If you’d like us to include something in the newsletter that you don’t see, have an idea for an article, a suggestion or question about BMAV or our community, contact Lynn Barclay: barclaylg@earthlink.net or 301-320-4962.